In the final moments of Arrow’s shocking Season 5 finale, Oliver watches helplessly as Adrian Chase shoots himself in the head, triggering a bevy of explosions on Lian Yu. Oliver is safe from the blast with his son, but the show didn’t depict Team Arrow in its entirety to escape the blast. The last thing Oliver says to Felicity before the island erupts is that Slade Wilson knows the path to an escape. Whether the Arrow gang made it offshore is anyone’s guess. However, we can make some assumptions. It’s not likely that The CW’s original superhero drama would kill off every single one of its main characters in a single swoop, but since John Barrowman’s Dark Archer died on a landmine saving his daughter, it’s safe to say some of Oliver’s bodies may have died in Season 5’s final moments. Even if Deathstroke does fight to get everyone to safety — his double-cross against Oliver is revealed to be a triple-cross in the finale, so his allegiance is set — it may not have been physically possible to get Felicity, Curtis, Thea, Quentin, Rene, Dinah, and the whole crew far enough away from Adrian’s landmines in just a few minutes. 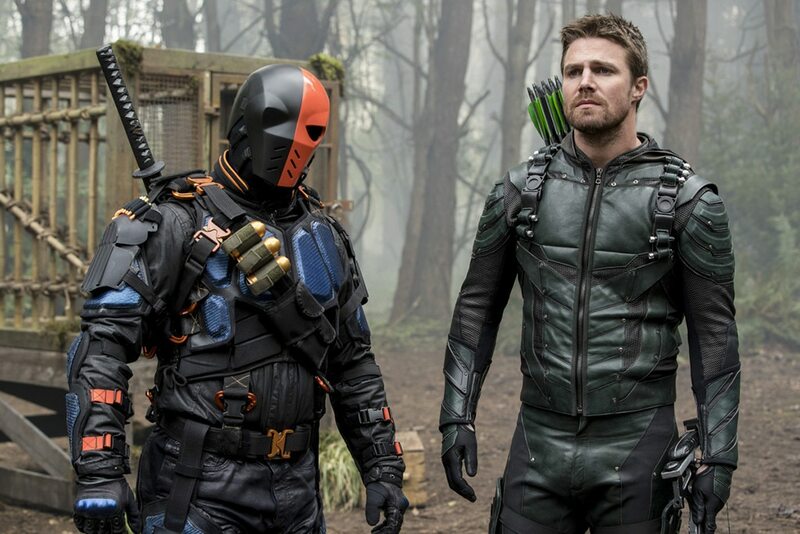 Regardless of who Arrow elects to kill off in the Season 6 premiere, leaving the fate of Team Arrow to Slade Wilson is a shrewd move by Greg Berlanti and his writing team. Manu Bennett plays a mean, fascinating, and altogether likable Deathstroke, so his release from prison bodes well for the show. Arrow Season 6 does not currently have a release date.